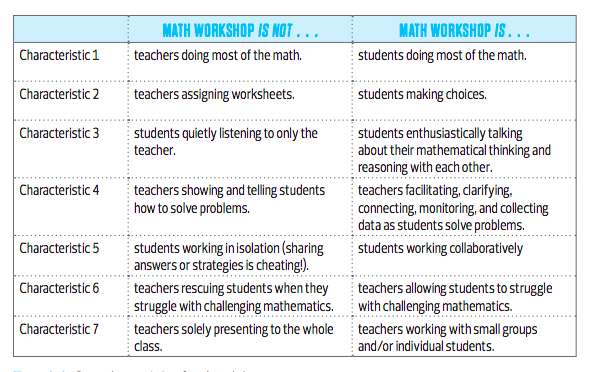 Are you interested in using the math workshop model of instruction in your classroom and putting your students at the center of learning? 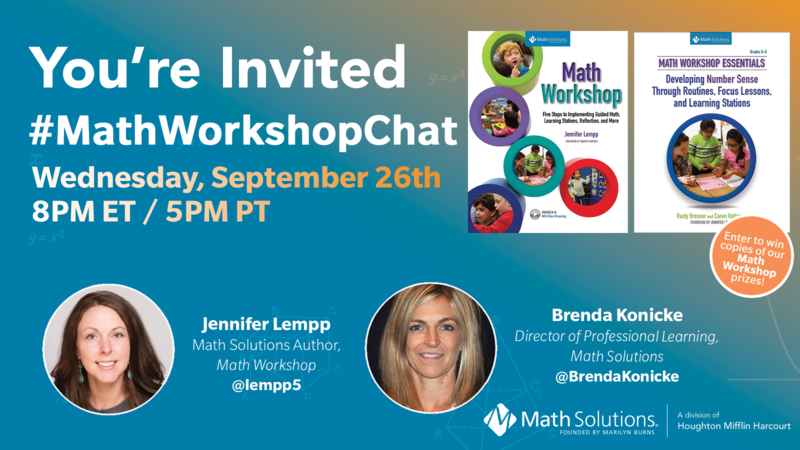 Join @Math_Solutions for our September #MathWorkshopChat on Wednesday, September 26th at 8pm ET/ 5pm PT. Brenda Konicke, Director of Professional Learning, and Jennifer Lempp, author of Math Workshop: Five Steps to Implementing Guided Math, Learning Stations, Reflection, and More, will co-lead a discussion on how math workshop can transform your classroom. We’ll dive into how number sense routines work within math workshop, and why they’re such a useful kickoff to the math class day. Two lucky participants will be randomly selected to receive copies of Jennifer’s new book and our brand new math workshop resource, Math Workshop Essentials. Join us for a lively discussion on math workshop techniques and strategies! Check out our free minilesson on working collaboratively from Math Workshop: Five Steps to Implementing Guided Math, Learning Stations, Reflection, and More. In preparation for the chat, watch this video to see the number sense routine “Count Around” used in Ms. Griswold’s kindergarten class and Ms. Hrabak’s fourth-grade class.